As opposed to the peel, the juice of apples alone does not seem to offer any outstanding health benefits. Apple juice appears to have less than one-third the antioxidant power of the whole apple. Apple juice ranked six in terms of antioxidant levels compared to eight other possible airline beverages. When measuring phenolic content, which may help provide Alzheimer’s disease protection, clear apple juice ranked eighth out of nine fruit juices. A daily cup of apple juice may not produce any change in cognitive performance in Alzheimer’s patients, but apple juice concentrate may help protect human nerve cells from the neurotoxic Alzheimer’s plaque protein, amyloid Beta in vitro. Probiotics taken with apple juice do not seem to be effective in helping to ensure probiotic bacteria survival. Unlike red cranberry juice, apple juice does not appear to reduce bladder infection risk. Consumption of whole fruits, including apples, seems associated with a lower type 2 diabetes risk, whereas greater juice consumption seems linked to a higher risk. Similarly, apple consumption may be associated with lower heart attack risk, but drinking apple juice may increase risk. Conventional apple juices from around the world often exceed World Health Organization fungal level safety guidelines, but organic juices seem to be within the safety limits. Apple juice may contain levels of arsenic higher than deemed safe in drinking water by the U.S. Environmental Protection Agency. 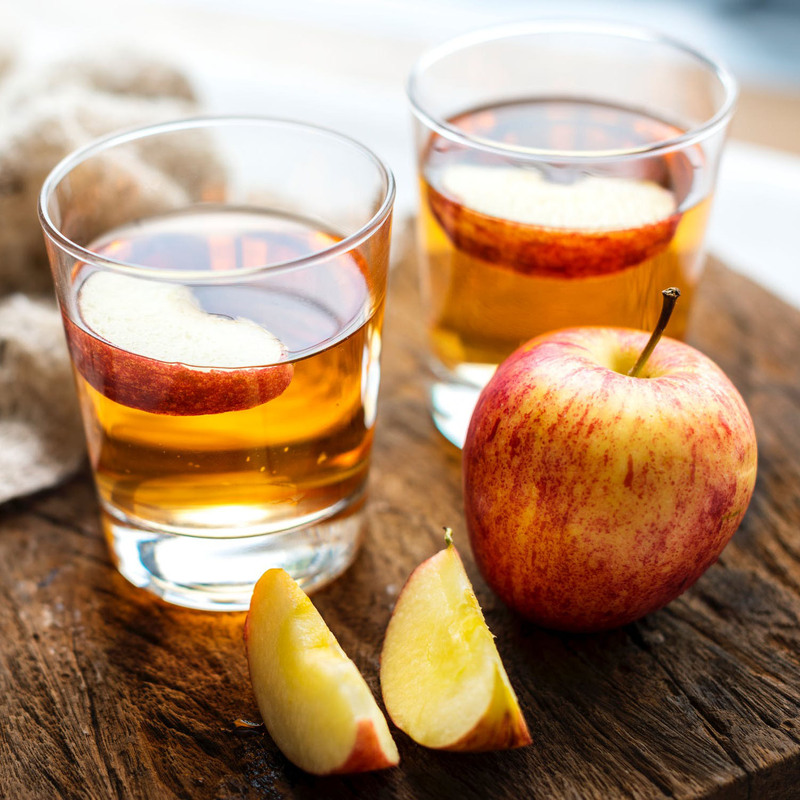 Drinking apple juice may produce uric acid in the body, and even pureed apples leads to a spike in insulin, but eating heated pureed apples may decrease hunger leading to fewer calories consumed throughout the day.